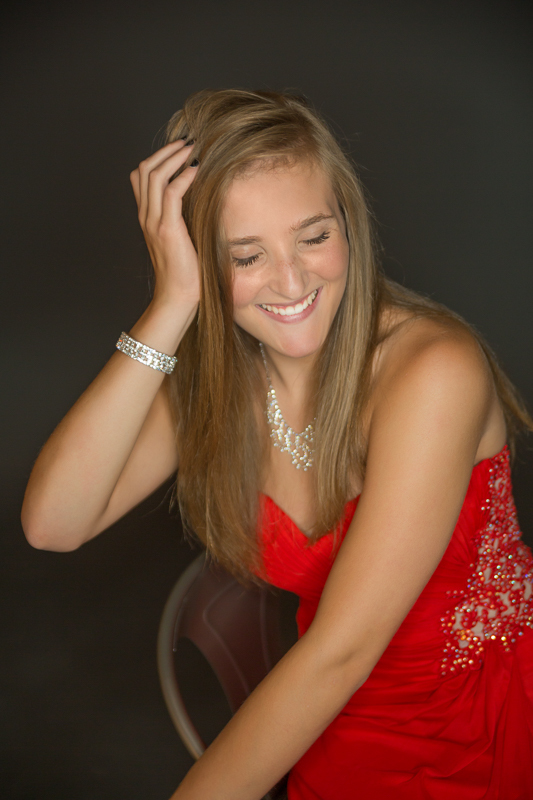 Portage Michigan Senior Photographer: Meet Riley! Riley is my oldest daughter's best friend, and we've known her and her family, I think since we moved to Portage over 10 years ago! She is growing into a wonderful young woman, and we can't wait to see her back on the basketball court in the fall!! Riley loves to play basketball, and the french horn and mellophone. She also loves listening to all kinds of music, and enjoys modern art and painting. Her favorite color is purple, her favorite outfit is 'leggins and a fun shirt with combat boots'! As you might be able to tell from my website and studio decor, I love the color red (for me it signifies energy, strength and youth!) So, I was pretty excited when Riley showed up with this amazing red dress! I think you will agree that she is gorgeous in it! Older PostPortage Michigan Senior Photographer: Welcome Sophia S!